Night and Dayshirts are roadworthy! IVR’s first interpretation of masculine and feminine game is born! 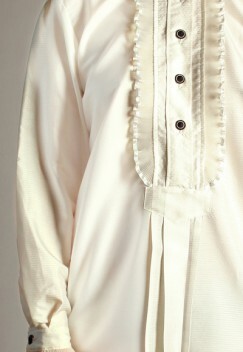 This day and nightshirt combines masculine elements in a feminine garment. Shoulders, armholes and sleeves must be slight. 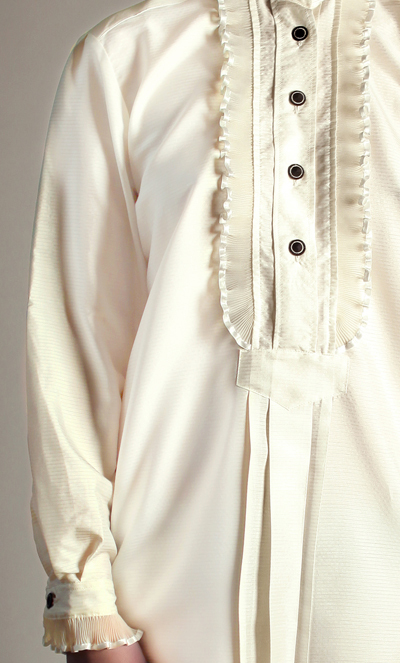 In contrast, long sleeves and cufs are taken from a man’s shirt. Die Hemdbluse – eine Mischung aus Bluse und Männerhemd – hat sich seither als fester Bestandteil der Frauengarderobe durchgesetzt.